Keep up on the latest news with Schott Distributing and Our Great Products. Whose Day Tuesday – It’s Wes’ Day!! 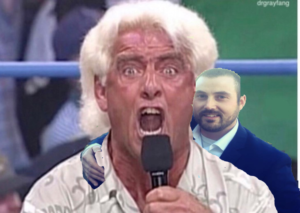 Whose Day is it this Tuesday?! It’s Wes Parson’s day for Whose Day Tuesday! Here’s some fun facts about Wes! When did you start at Schott Distributing? I think 3 years ago? 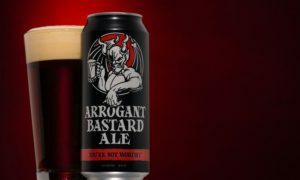 What is your go-to beer and why? What is your favorite thing to do when not at work? *You can find Wes (if you can track him down!) all over our warehouse making sure we have our s**t together. Although rarely seen at his desk..if you leave something there that you need taken care of, you come back a short while later and it’s taken care of!! Yay Stu! Now Available – Lupulin Brewing! We now have Lupulin Brewing available!! Lupulin is a local craft brewery right in Big Lake, Minnesota! Lupulin Brewing is a family owned and family run craft brewery. Jeff and Matt did not go out and hire an outside head brewer to brew beer for them. All of the recipes are created by the founders and are still brewed with the same care and craft spirit that survived in the “garage era” of Lupulin Brewing. 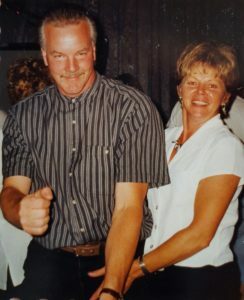 You will often find multiple family members helping to pour pints on Friday nights in the taproom, along with Jeff’s son Aaron (who Jeff and Matt sent to apprentice at a brewery in Stockholm, Sweden before the brewery opened) taking care of many of the day to day operations around the brewery like cleaning kegs and tanks and helping out with brewing. Whose Day Tuesday! – It’s Russ’s Day! It’s Russ Block’s day for Whose Day Tuesday! Let’s learn some fun facts about Russ! I quit, but when I did partake it was Budweiser or Bud Light. Spend time with family grand kids really make me smile. 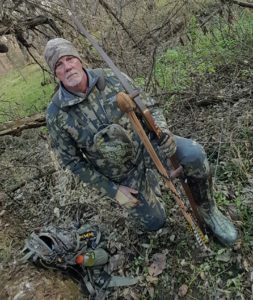 Hunting relaxes me as well. It would be interesting to trade places with a cowboy in the old west. *You can find Russ literally every where – he takes care of ALL of our accounts tap lines. One morning he could be in Kasson and later that afternoon you’ll find him in Albert Lea! Aloha. That’s how most conversations begin here. It’s also how many of them end. But “Aloha” doesn’t just mean hello and goodbye and love and welcome. It means more than a word can express. It’s a feeling. A way of life. “Aloha” is the idea that we are all connected to everyone and everything around us and that true joy is found in respecting this connection. And it’s in this aloha spirit that the Kona Brewing Company was founded back in 1994 by Cameron Healy and his son Spoon Khalsa. 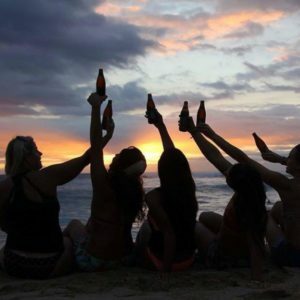 They combined their love of Hawaii and its pristine, natural beauty with their fondness for delicious, local brews, and lucky for us, their dream lives on more than 20 years later. So try a few of them. And join us in our pursuit of aloha. 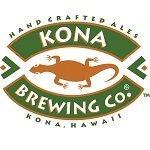 Kona Brewing Company was founded by father and son team Cameron Healy and Spoon Khalsa. The pair had a vision to reflect the spirit, culture, and beauty of Hawaii in a collection of local island craft beers, so in 1994 they set out for the Big Island to bring their dream to life. 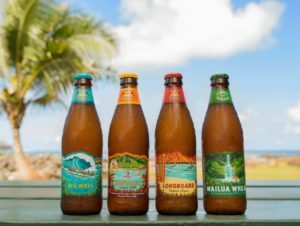 Flash forward to today, and Kona Brewing has become one of the best-selling craft beer brands in the world. But despite our global success, we’ve managed to stay true to our Hawaiian roots through innovation, sustainability and community outreach. And we’re still headquartered where it all began, in Kailua-Kona on Hawaii’s Big Island. Whose Day Tuesday! – It’s Brianna’s Day! 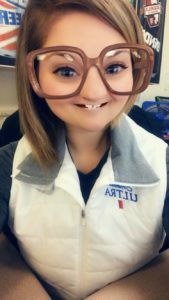 It’s Brianna Ihrke’s day for Whose Day Tuesday! Let’s learn some fun facts about Brianna! *When did you start at Schott Distributing? *What is your favorite part of you job? *What is your go-to beer and why? 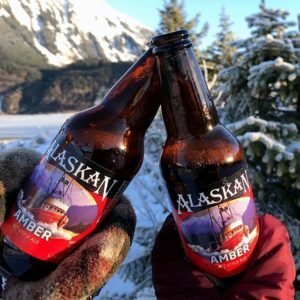 Alaskan Amber for it’s smooth flavor or Goose Island IPA because it’s awesome. *What is your favorite thing to do when not at work? *If you could visit anywhere in the world you’ve never been, where would you go? Depends on the day. Sometimes black, and sometimes with some flavored cream. *What is your favorite food?